I guess I'm not the only one who's ever felt this way, but just try to get someone else to admit it. I know, I have tried, and it doesn't work. Everyone is an expert. Everyone seems to know just where all the constellations are on any given night, where all of the Messier objects are, they even know the names of all the stars that make up a constellation. They not only can tell you what planet you're looking at, they can tell you how many moons it has, and all their moon's names, too. Man is that frustrating or what. There I stand in front of my telescope trying to hide the fact that I've been there an hour and a half and I still can't get the darned thing properly polar aligned, and they're in the background calling off Messier objects and star names and NGC catalog items they've found, and all that in just the last fifteen minutes. What's a person to do? Well I'll tell ya what I'm gonna do. I'm gonna get me one of those GPS-Locate Where I Am / Find True North / Tell Me What It Is / Tell Me Where It Is / Go Directly To It / Take a Picture Of It By Itself / All-In-One Telescopes. Or, then again, maybe not. Since I don't have an extra few thousand bucks to throw around, maybe I'll just give up and go home. I hate feeling so dumb, but isn't that the price you have to pay when you stand there alone in the dark and are afraid to acknowledge your ignorance about astronomy? But wait a minute, maybe there's hope after all. Since I've joined the club, I could use my AOAS discount card at Books-A-Million and buy a book, or two, (at 20% off) to help me figure all this stuff out. I mean I may not learn everything about the cosmos from some book, but at least I won't sound like a fool when I ask one of my fellow "amateur" astronomers a question. And maybe then when someone asks me a question I might even be able to have an answer that is not only correct, it may even make it seem like I really do know something. But heck, why bother? It's just a waste of time and money to keep trying to learn this stuff....right? Ok, enough with the pity party. I guess what I'm trying to say is that learning about astronomy can seem difficult sometimes, and a newbie can easily feel intimidated by how we, the more learned among our group, sometimes display our knowledge in such a cavalier manner. It's true that every time I've asked for help from my fellow club members, they have always been at the ready to take the time to explain how to do whatever it is I've been trying to do. They're thoughtful and considerate in trying to help me understand the concepts behind what it is I need to accomplish, and in trying to show me how to be successful in getting it done. But then I never was shy about asking for knowledge or help from others. I have no problem going up to anyone who I think can help me learn whatever it is I want to learn. I think I may be an exception to the rule though. Some people have even said I'm obnoxious and over-bearing. Probably a fair statement, because I am that way when I want to know something. But there are times when even I am subdued when it comes to asking for help. And if I'm subdued, I know there may be many others who are, too. 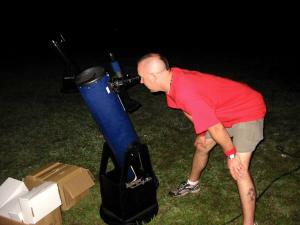 So sometimes, with a newbie at the site of a star party, it takes a little more diligence in our role as teachers as well as astronomers, to look around during the course of the evening's star party to see if someone around us is standing there with a perplexed look on their face or maybe even a look of frustration. Look to see if someone within our group is obviously not having a good night of star gazing, and try to reach out to them and offer a helping hand. 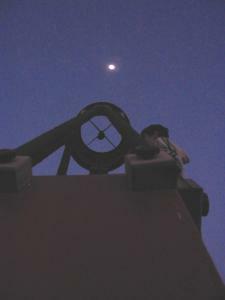 The reason we go to star parties in the first place is to look into the eyepiece of our telescopes and try to discover all the wonders we can find in the heavens above. But isn't it also true that we're there to share this wonderful hobby of ours with our friends and visitors, too? And among our friends, don't we also include the newest members of our group or the ones who just dropped by to see what all the fuss is about. That said, I guess you all get the point I'm trying to make by now. If we want to help AOAS to grow we need to bring in more members. Recruiting is a worthy endeavor, but retention of our members is the goal. It may be relatively easy to get new members to join our group, although I won't assume that to always be true, but if all we do is get them to join and then leave them to their own devices when it comes to finding their way around the cosmos, have we really helped them, or the club? So, here's a recipe for a long and happy life for this club that we all love so much and for our new members. The finished product should be a knowledgeable amateur astronomer who understands what it means to belong, and who will have the drive, the will, and the basic knowledge to be able to pass that along to the next generation. That, above all else, is our ultimate goal.